I LIVE for SA Fashion week!! My eyes open WIDE when I wake up…for like 3months before Fashion Week even. SA Fashion Week begins with the opening party, where the real trends are set. Yellow’s in and shirts are definitely out. The Fashion Industry is engaging on three broad topics of exploration right now; Afro-futurism, the Asia Aesthetic, and Sustainable Fashion. Here are my favorite collections representing each of these influences. Siyavuya Roqoza’s brand is inspired by culture and a sense of adventure. I love his use of geometric patterns and am blown away by the beadwork. 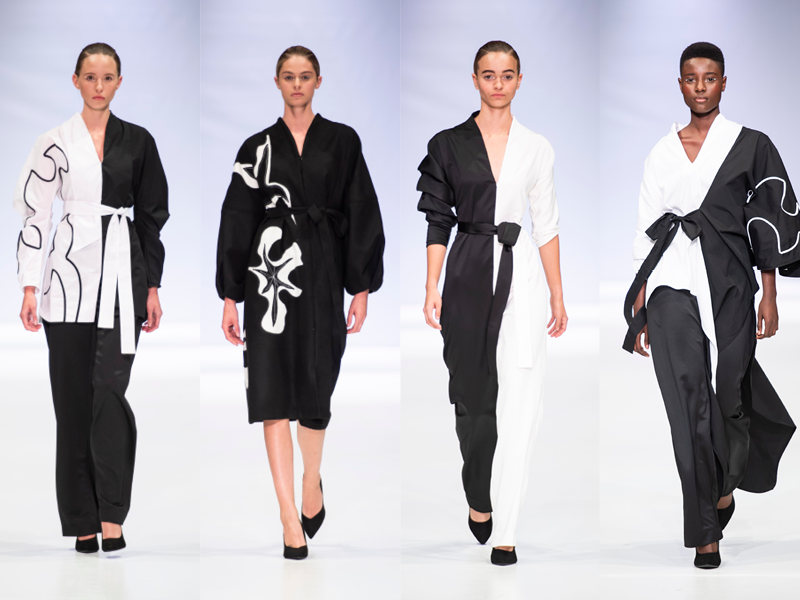 Judith Nel’s Atelier is a high-end women’s wear label in the Western Cape, and can drape like Gods. South African designer Jacques van der Watt uses the most cutting edge technology of any fashion house in the country! 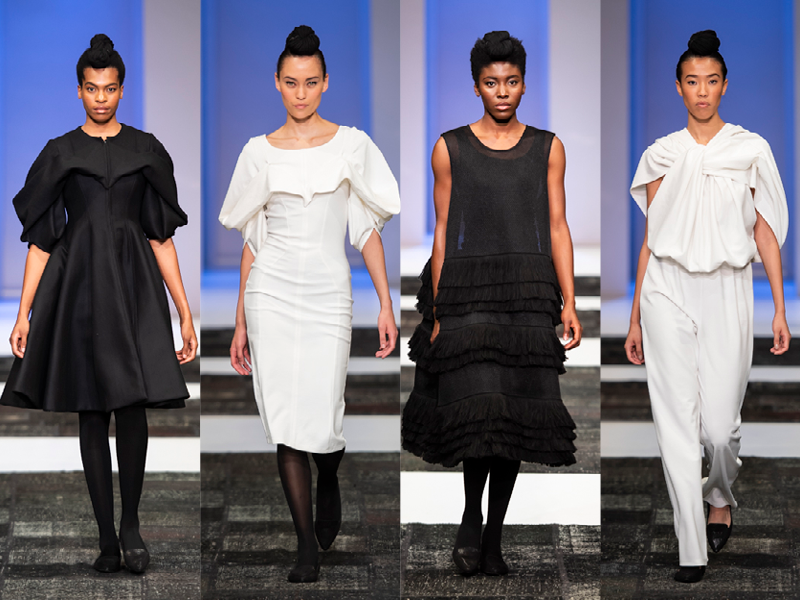 Cape Wools sponsored two designers’ collections at SA Fashion week, and they were SO fantastic! Erre was the first women’s wear show I’ve attended in a while, and it was lovely to see how the soft fabrics flowed across the runway. Klippa’s show included a great deal of choreography, which was super fun to watch instead of a slow motion tennis match. I LIVE for these visors!! 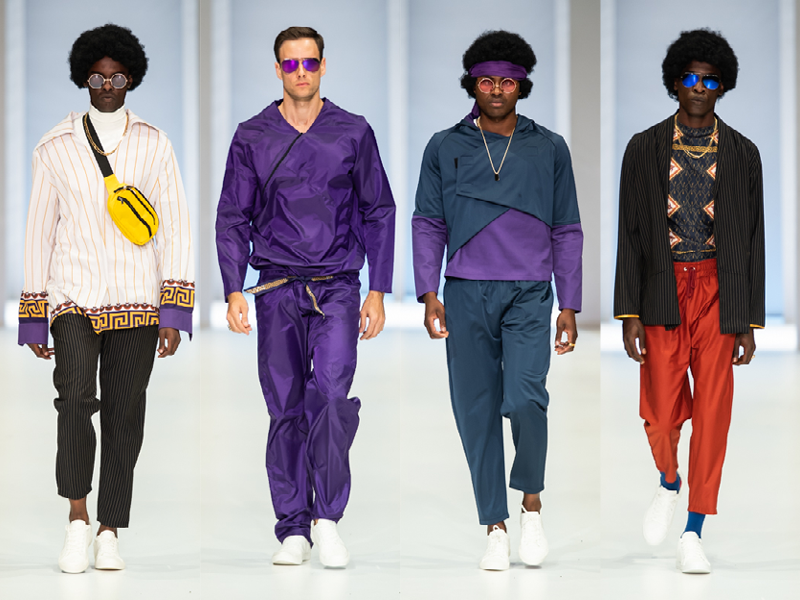 I’m so glad to see Zamaswazi hit the runway again, and certainly still love his quirky play on formal menswear. I’ll probably always question some of his paneling decisions, but I love his overall approach to fashion and aesthetic. Can you believe this man is self taught? Designer Shaylene Paige Morris knows no bounds. I must have these purple sunglasses if it kills me!! I hope you enjoyed this review of one of South Africa’s best bi-annual events. The comment section awaits your fashion putdowns.